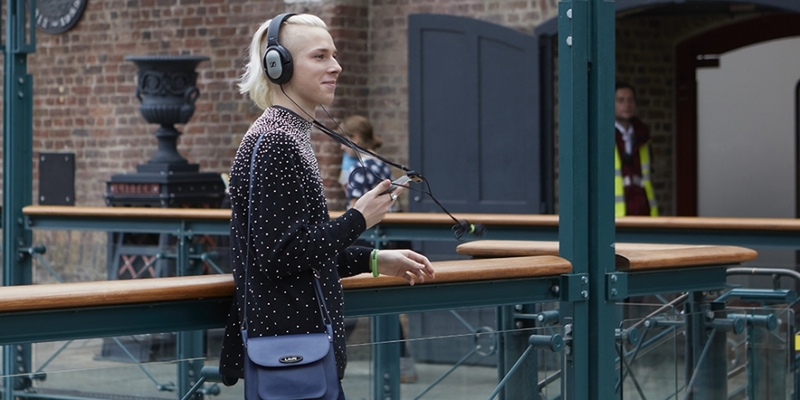 We look back to Coming Out @ Futurefest, where Roundhouse Radio stepped out of the studio and into the East End, to tell a story about the future of love. For those of you who couldn’t make it, take a look at pictures of the sound installation above. Coming Out explores love in the future as our ideas on gender become more fluid and technology creates new ways for us to connect. 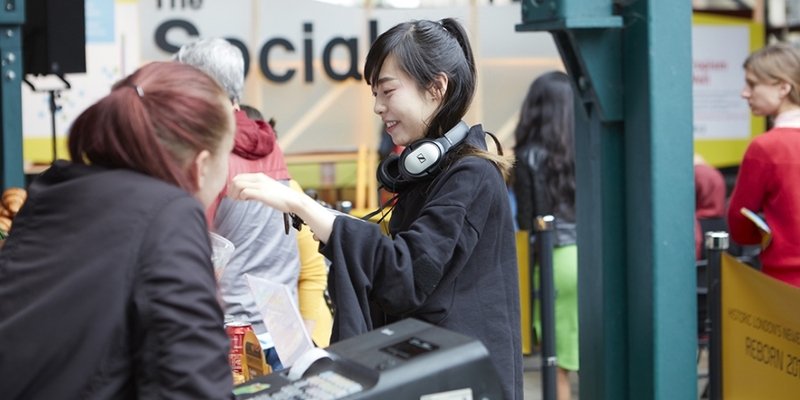 What you can’t see in these photos is tiny ibeacon technology hidden across the festival. 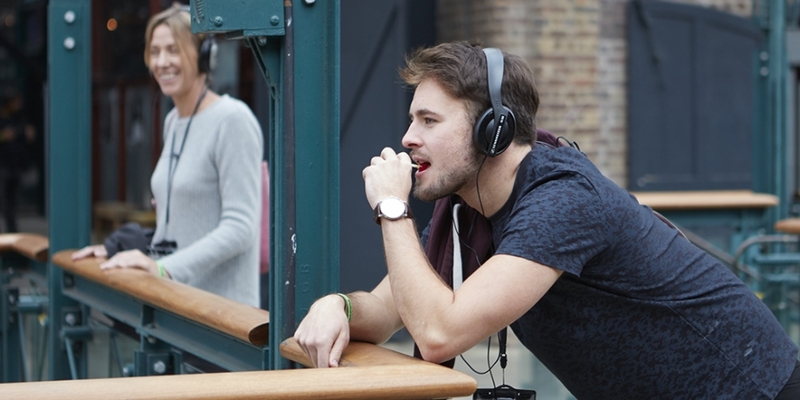 The secret ibeacons trigger stories as listeners walk by so audience members can follow an audio date, uncovering different situations and characters dependant on the choices they take. 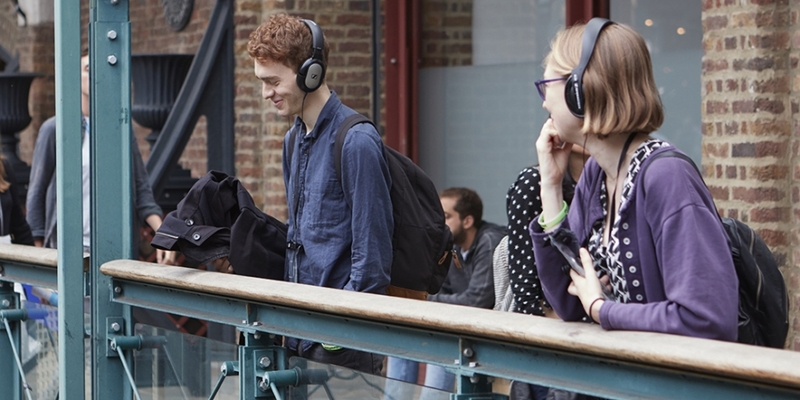 All this was made possible by partnering with Nesta, the UK’s innovation charity who put on FutureFest every year. The installation took place amid dancing drones, exoskeleton cyber athletes and debates. Nesta are encouraging people to stake their claim on what kind of future they want to live in. For the group of under 25s who devised Coming Out, they want to live in a future with less labels. The installation shows a world where love has the potential to be just as disorienting and heart-breaking as ever, but where homophobia and transphobia have become extinct. Here at the Roundhouse, we’re excited that this is the future that our young creatives are pushing for and uncovering. Coming Out was directed by Playlines, with Technical Direction by Dustin Freeman and Sound Design by Falling Tree Productions. It was developed by Playlines and is Powered by Motive.io software. To find out more about any upcoming Roundhouse events click here.